English: Fanovana newtonia, fanovana warbler; French: Newtonie а queue rouge; German: Fanovana-Newtonie; Spanish: Papamoscas de Newton. The body length is about 5 in (12 cm). 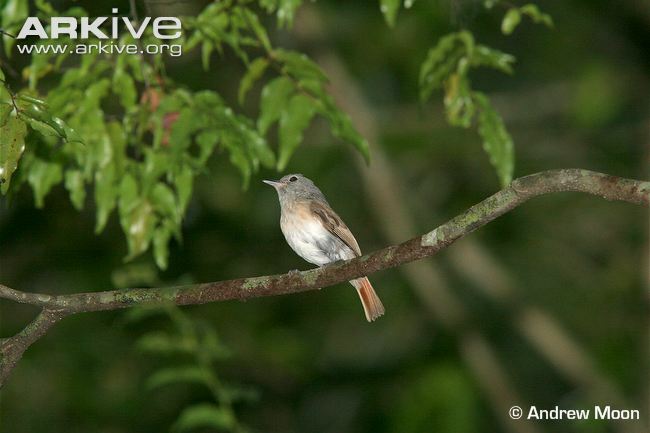 The back and head are olive-brown, the tail rufous, and the belly white. 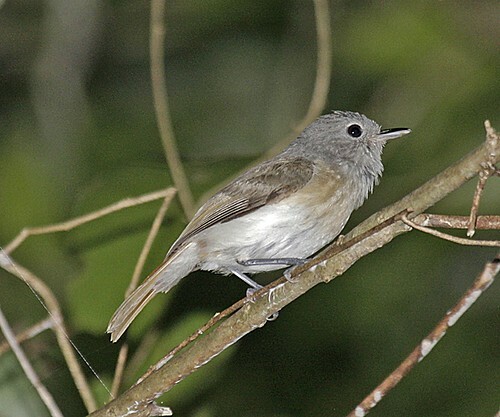 A rare, endemic, nonmigratory species that only occurs on the island of Madagascar. Occurs in lowland, humid, evergreen tropical forest. 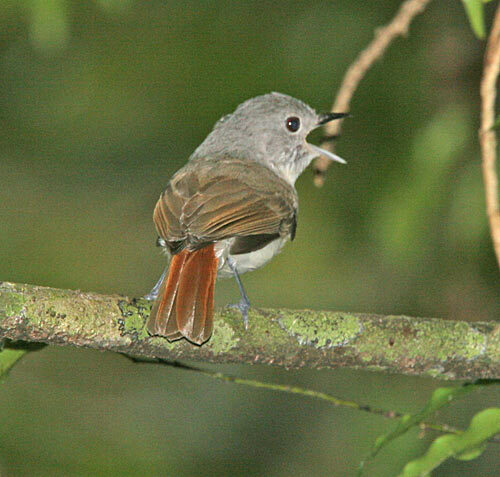 It occurs only in large tracts of intact forest, over the altitudinal range of 330–2,950 ft (100–900 m). A nonmigratory species. Pairs of breeding birds defend a territory. The song is a descending series of notes. Searches from a perch for flying insects in the middle and upper parts of the forest canopy. Often associates with mixedspecies foraging flocks. 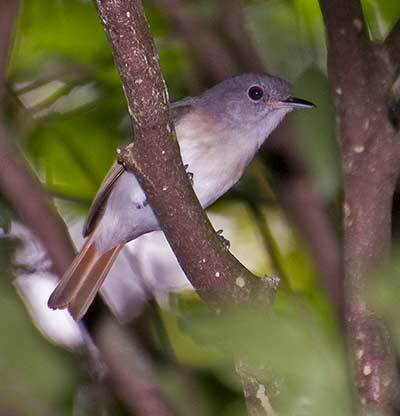 Builds a cup-shaped nest in a relatively tall tree. has been lost to the development of subsistence agriculture, and to logging in some areas. 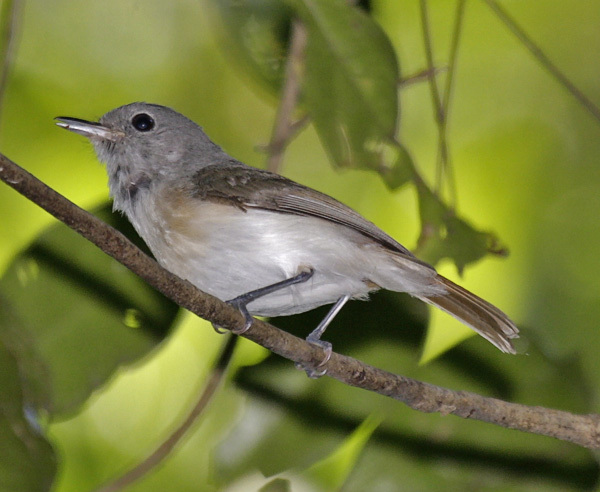 Some of its breeding habitat occurs in various protected areas, but it is still at risk of disturbance there. Areas of its critical breeding habitat must be well protected. None known, except for the economic benefits of birdwatching.